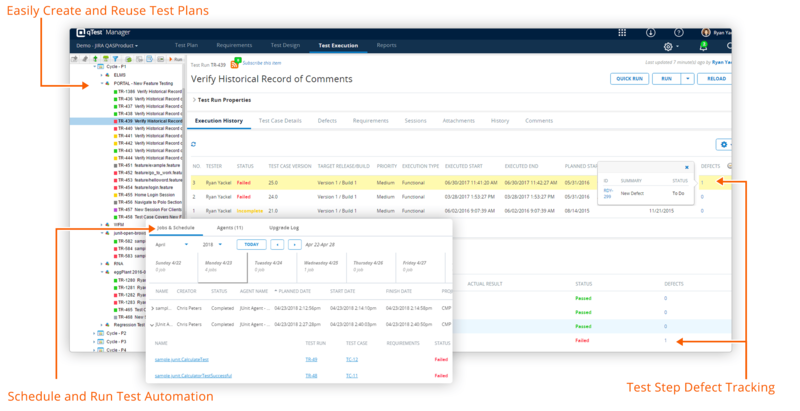 qTest Manager provides an intuitive UI experience for test execution; manage, track and execute all of your test runs across multiple projects. Gain visibility into your entire test life cycle across projects, builds, cycles, suites and more. qTest Manager’s layering capabilities allows for a clear representation of the work you need to accomplish. qTest Manager supports the different types of testing your teams want to use. 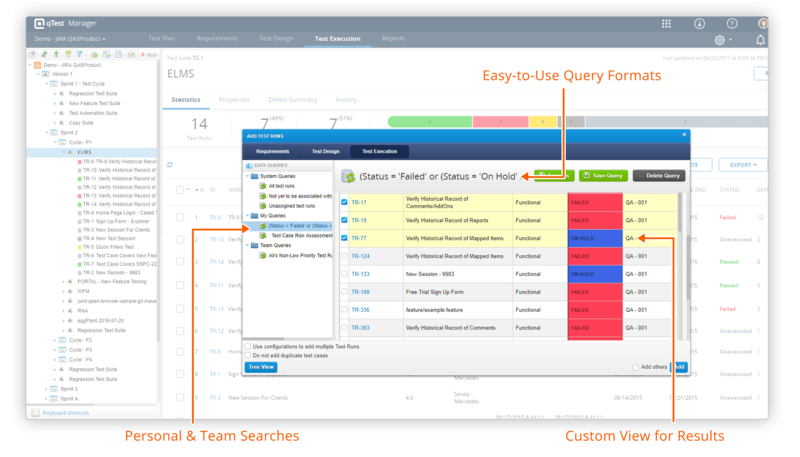 Whether it’s manual, automated, or exploratory testing, qTest Manager has you covered. Easily log a defect and show the connection to the affected requirements. qTest Manager’s UI is built for fast test run planning and test execution without limiting how these runs are organized. Use the quick run feature to batch assign run status, or leverage the test pad to stream through test step execution. The ability to get going quickly w/o having to learn the user interface is what I like best. qTest is straight forward in it’s design. Implementing this tool was simple. 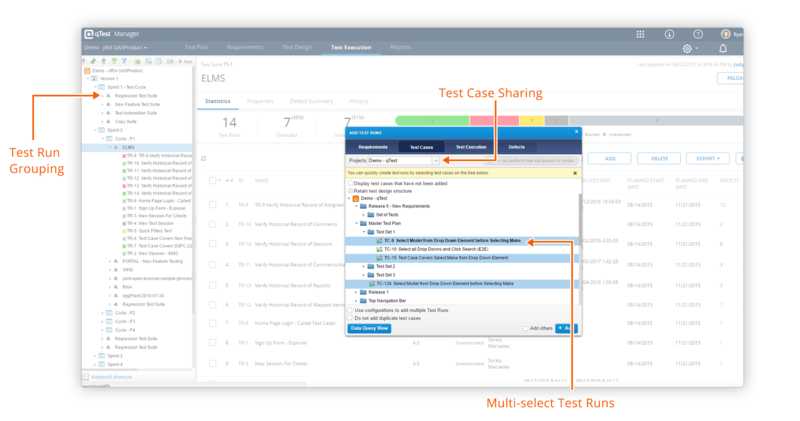 Lightning fast test run planning and execution without limiting how these runs are organized in releases, cycles and test suites. 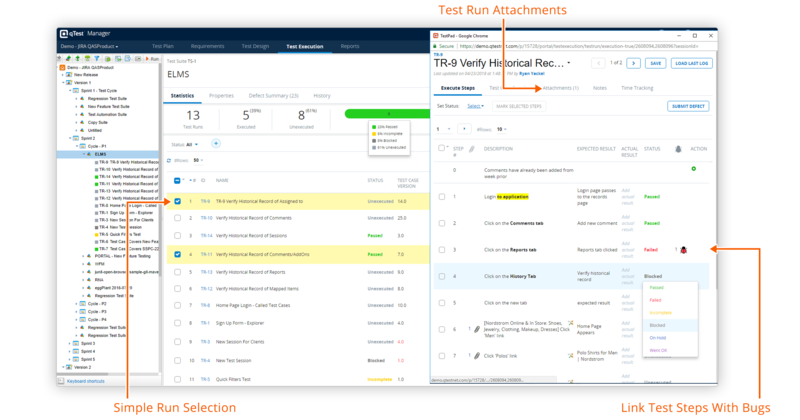 Add test runs based off which tests have associated requirements and defects. Use the data query to generate powerful search criteria to pull in test runs based off custom meta data. 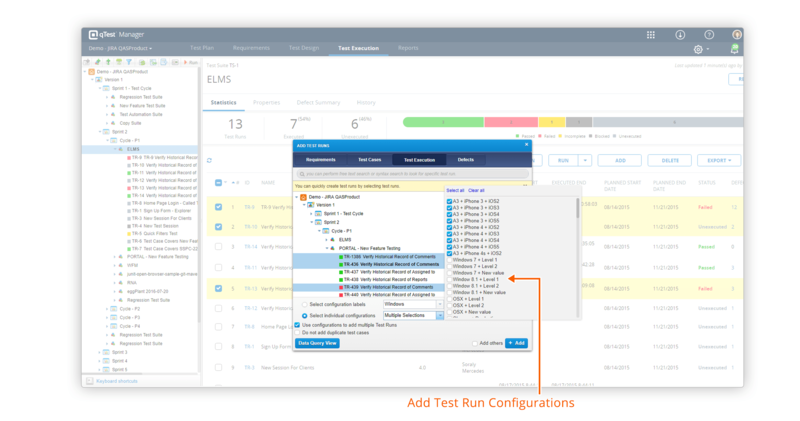 Creating test run configurations is a great way to streamline run creation during test execution. Test runs can be executed quickly through the quick run feature or report test step status with the Test Pad. Jenkins remains one of the most popular continuous integration tools for agile testing. 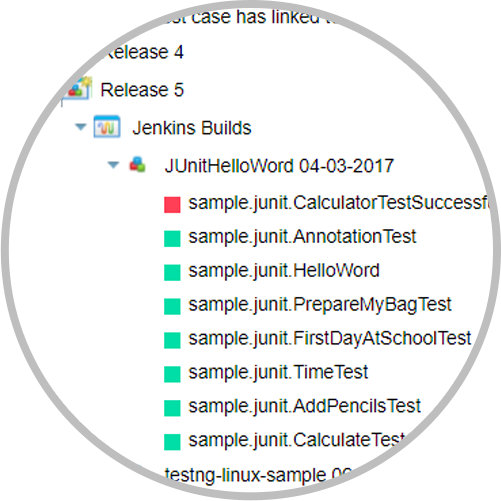 With qTest’s supported integration, pulling in Junit style xml reporting has never been easier. Kick off test automation through popular open source frameworks and pull in test run results from continuous integration tools. 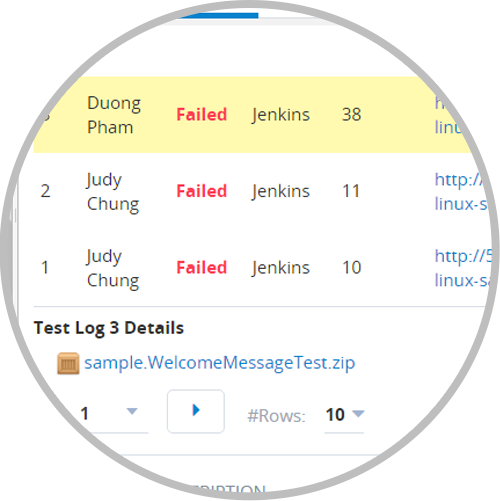 Connect your continuous integration tools with qTest for consolidated reporting across your testing pipeline. Out of the box integrations with Jenkins and Bamboo will eliminate any custom work to be done. 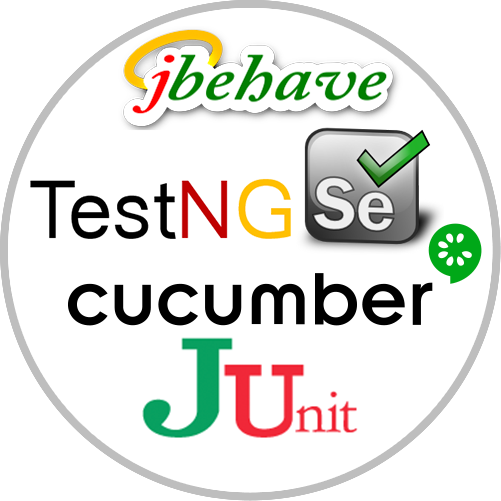 qTest provides out of the box test run execution scheduling the most popular open source frameworks like Cucumber, TestNG, JUnit and more! Automation logs are key to understanding if your team needs to file a bug or fix the automation script. Let qTest consume all logs files for easy analysis. Test Planning and organization remains one the most time sucking activities for test managers. qTest Manager empowers the team and test leads to quickly add and organize test runs based off linked associations, meta data, regressions cycles and more. Keep Exploring or Get Started!